As organizations that depend on donated support, nonprofits have to make concerted efforts to stay relevant to their communities, donors, and constituents. That’s why it’s so important to stay on top of trends in the fundraising world. What’s the biggest trend in the nonprofit space in recent years? Peer-to-peer fundraising! Your organization has likely already tapped into the power of peer-to-peer fundraising strategies in the past, possibly without even realizing it. This fundraising style has become incredibly popular as a result of a few different technological and social forces, and it reliably engages donors for all different types of missions. If your organization wants to learn more about peer-to-peer fundraising campaigns, it can be tricky to know where to begin; peer-to-peer fundraising is itself a fairly broad fundraising approach. We’ve put together a quick Q&A guide to help get your team started. We’ll walk through the basics of this fundraising style and provide a few of our own pro tips and resources along the way. Are there different types of peer-to-peer fundraising campaigns? What are the benefits and drawbacks of these campaigns? 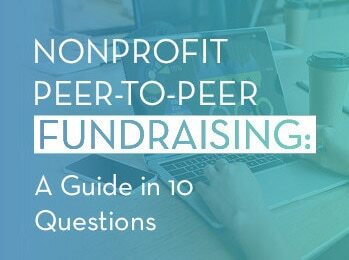 What do I need to conduct a peer-to-peer fundraising campaign? What features should I look for in peer-to-peer software? How should I structure my peer-to-peer campaign? What types of events work well with these campaigns? How can I promote my peer-to-peer campaign? How can I boost the impact of my peer-to-peer campaign? Peer-to-peer fundraising is any style of nonprofit fundraising in which volunteers leverage their social networks to raise money on behalf of your organization. This fundraising style is incredibly flexible and adaptable. From crafting a campaign strategy to planning effective fundraising events to managing volunteers, a large-scale peer-to-peer fundraising campaign takes a lot of work but yields high rewards. In a peer-to-peer fundraising campaign, your volunteer fundraisers ask their friends, family, and coworkers to contribute to the campaign, and your organization receives the donations. While your nonprofit is at the center of this network of supporters, you don’t need to micromanage every interaction and donation solicitation the way you might in a more traditional fundraising campaign. It’s a decentralized style of fundraising that gives your team the flexibility to focus more on engaging donors than on soliciting them. The main idea behind peer-to-peer fundraising is to draw on your community’s extended network of contacts in an organic way. It’s a particularly effective strategy due to both the huge influence of social media in our daily lives and the rise of social giving patterns among donors of all demographics. Download the 2018 OneCause Social Donor Study to learn more. High-intensity: A national nonprofit organization plans an extensive peer-to-peer fundraising campaign or large scale on-the-ground event (run, walk or ride) to lead up to its annual gala. Detailed plans, schedules, marketing strategies, logistics, and volunteer training courses are developed months ahead of time. Mid-intensity: A mid-sized or small nonprofit sets up a campaign ahead of a local 5K event. Fundraising teams can create their own pages to share among friends and collect pledges before the day of the big race. Low-intensity: A nonprofit configures an option on its website or social media profile for supporters to create their own mini-campaigns, typically around a special occasion, awareness day, or supporter-driven fundraiser. One common example is a supporter raising money on their birthday and asking for donations instead of gifts. From complex multichannel campaigns to casual mini-campaigns, peer-to-peer fundraising campaigns can be conducted across a range of intensities. Remember, though, that proper planning and strategy are necessary for the success of any campaign, no matter how casual or low-intensity. The nature of peer-to-peer fundraising makes them very useful for reaching new audiences and expanding your network of online supporters. These campaigns can be highly engaging for large segments of your support base when planned effectively, which can help to significantly boost donor retention. Peer-to-peer fundraising campaigns can generate a ton of donor engagement data, which, when properly recorded and analyzed, helps you continually improve your fundraising and marketing strategies in the future. Effective peer-to-peer fundraising campaigns require dedicated software designed to host individual donation pages, manage the campaign as a whole, and track the performance of each volunteer. Depending on your budget, this investment might need to wait until you’ve had time to prepare. These campaigns typically require significant amounts of planning and marketing to stay on track and meet their goals on time. Don’t commit to a peer-to-peer campaign unless your team is able to develop a top-to-bottom plan for its execution. Even with these drawbacks, peer-to-peer fundraising remains a highly effective choice for nonprofits of all sizes. The main point is to not rush into one; the most successful peer-to-peer campaigns are the centerpiece of that nonprofit’s fundraising year and the result of careful planning and investment. If you’re investing in peer-to-peer fundraising software for the first time, take your time choosing the perfect set of tools for your needs. Additional engagement tools like gamification and marketing features will be included in leading software options. Study up on a few peer-to-peer fundraising best practices for more information on how to begin preparing for your campaign. 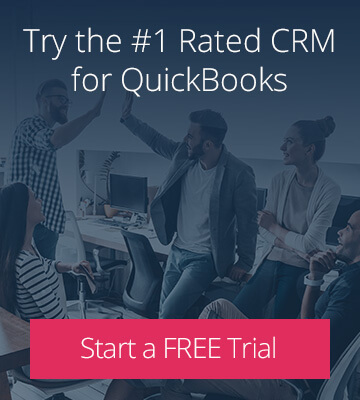 Chances are your organization has already made other significant investments in software in the past. 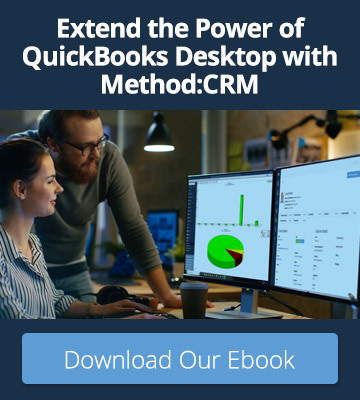 If you’ve already been through the process of choosing a CRM platform or other database, for example, you know how important it is to think about the features you want and need before diving into making a purchase. Remember, too, that new software is an important investment. Your new peer-to-peer platform should be scalable, able to handle as many volunteers as you might need for future campaigns down the line. Explore our P2P buyer’s guide to learn more about the features to look for. Campaign planning, volunteer recruitment, and training several months in advance. These are done in tandem with event planning if the campaign will culminate in a major annual event. Pre-campaign marketing efforts to raise awareness within your extended network and get volunteers excited to begin. Campaign kick-off, typically marked by an announcement or community event. The main fundraising period, broken up by one or two benchmark or check-in events. Smaller-scale fundraising events with competitive elements work well to boost energy throughout campaigns. Wrap-up period of fundraising, the perfect time to ratchet up the energy and help your volunteers reach their goals using additional fundraising event ideas and creative incentives. The campaign’s conclusion, typically ending in a public event or celebration. This is a general framework for how most peer-to-peer fundraising campaigns are structured, but it’s important to develop a campaign that is will excite your nonprofit’s particular community of support. Implementing additional fundraising ideas and incentives throughout the campaign is a great way to make it your own. Explore Bonfire’s exhaustive list of fundraising ideas to start brainstorming. As mentioned above, many peer-to-peer campaigns are structured with one or more community engagement or fundraising events at the beginning, middle, or end. The scale of these events will depend on the scale of the campaign itself, but effective peer-to-peer events often share a few characteristics. The best peer-to-peer events are typically active and participant-centered, like walkathons and 5Ks. Other annual events, like galas and auctions, can also work well as grand finales, but take extra effort to maintain a sense of community during the campaign, focusing on your mission that brings all of your supporters together. For any large or small-scale events you plan for your campaign, remember that their main purpose is to create and sustain the campaign’s momentum while also helping your volunteers to reach their fundraising goals. Peer-to-peer campaigns should be promoted with multichannel strategies. That is, use all of the marketing outlets at your disposal in strategic and coordinated ways to attract and engage supporters wherever they might encounter your campaign. Providing your volunteers with effective customization and social sharing tools on their fundraising pages goes a long way to simplify the marketing process. Encourage them to heavily engage their networks on social media. Your organization should also take an active role in directing everyone’s social media efforts. Creating a unique hashtag for volunteers and donors to use or developing unique viral challenges are great ways to grow your campaign’s visibility online. Don’t forget to conduct some traditional outbound marketing, like an email campaign, as well. These are useful in the lead-up to your campaign and for promoting your grand finale events that can attract even more members of the wider community. Just make sure to put as much thought into your messaging and segmentation strategies here as you do in your social media efforts. Creating timed fundraising contests and offering incentives to top fundraisers is a great strategy for pumping up the energy and motivating donors at crucial times in your campaign. Promote matching gifts to donors when possible. 1 in 3 donors says they’d be willing to give more if they know it’ll be matched by their employer. Plus, helping donors boost the impact of their gifts is great for deepening your relationships with them. As a flexible style of fundraising, it’s easy to incorporate other techniques and elements into peer-to-peer campaigns. Make the most of yours by thinking outside the box! Peer-to-peer fundraising campaigns and social fundraising techniques are extremely effective and popular with donors across all demographics. However, if you’ve never conducted one before, it can feel overwhelming to jump right in. Take your time getting started! Careful strategy always pays off when it comes to peer-to-peer campaigns, no matter how large or small your goals.